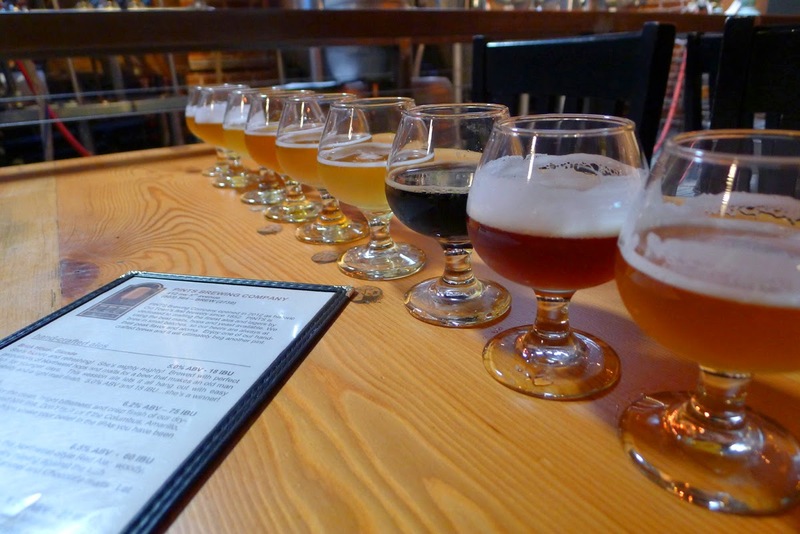 If you follow Portland's beer scene, you probably know of Pints Urban Taproom. The place has been open in Old Town since 2012. It'a a cozy little space which morphs from a morning coffee house to an afternoon and evening brewpub. But that's just the tip of the iceberg. There's a lot going on here that isn't so obvious. My first visit to Pints happened back in early 2012, not long after they opened. Old Town isn't part of my hood and I don't get down there that often. In fact, that first visit was part of a Brewvana tour. I was impressed with the space. The beer list was solid, if not all that exciting. Fast forward two years and things have changed quite a bit. 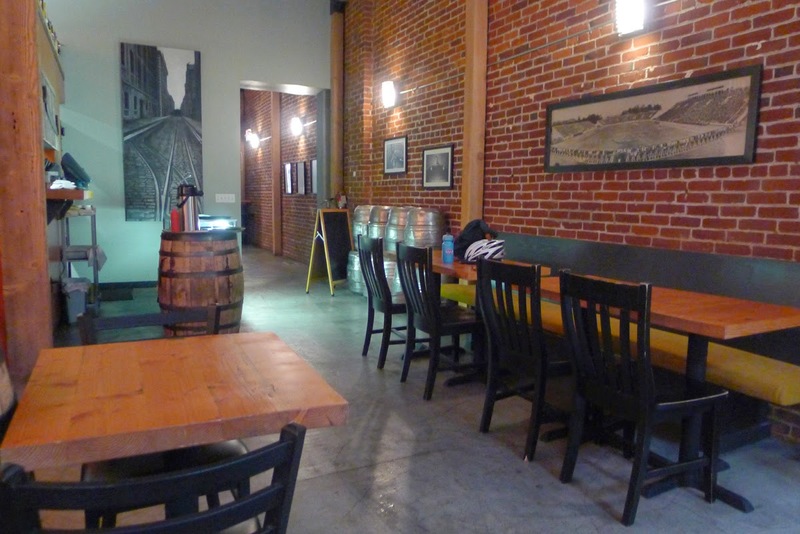 In those early days, the beers were brewed by Zach Beckwith, who had come over from Lompoc. He was all about taking a simple, traditional approach to brewing. The mostly low- ABV beers reflected that approach. Today, the beers are being brewed by Alan Taylor, who has a distinguished brewing background I'll delve into in due time. Taylor replaced Patrick Watkins, who had replaced Beckwith when the latter left for Three Creeks. These are wild times in craft beer. The story of how Taylor became involved in Pints is a bit trickier than it appears. He began working for owner Chad Rennaker's ZH Brewing in 2010, but not on the Pints project. A local consultant was coordinating Pints. Taylor was hired to provide brewing expertise on several projects Rennaker had in motion at the time, most notably one in Albuquerque. "Chad's 'real job' is real estate development, with an emphasis on mixed-use/mixed-rate concepts," says Taylor. "He wants his buildings to have a brewery-restaurant on the main floor. The Albuquerque project was the big reason we partnered up. 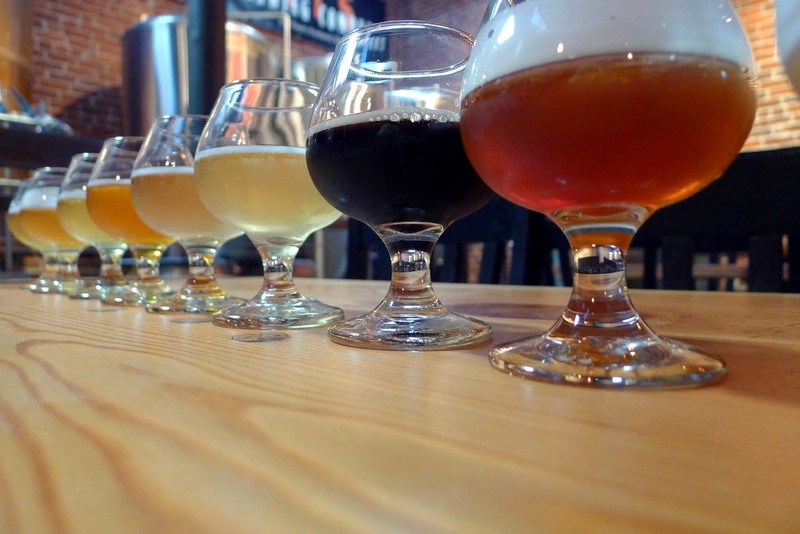 He needed an experienced brewer/brewmaster to start up, hire, and supervise his projects. I was the right fit." Albuquerque isn't all. 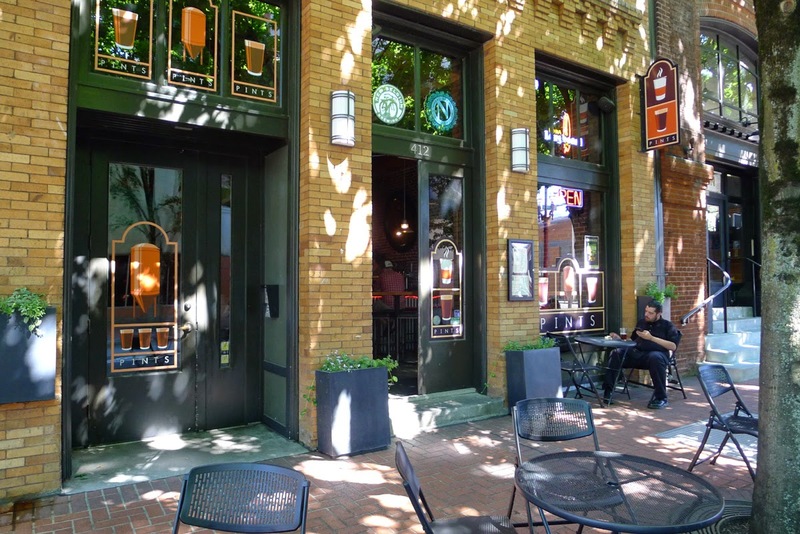 For the past several years, Rennaker has been working with the Portland Development Commission on putting a brewpub in Southeast Portland's downtrodden Lents neighborhood. The PDC believes a brewpub will help revitalize the area and is financially committed to making it happen (more here). "The Lents project has been running in the background since I started here," Taylor said. "It has moved forward and we now hope to be open early next year. In-house we will have a number of NW-style beers and a mixed American/Central European beer and food menu. We also hope to do packaged sales [probably bottles] focused on German styles." So Pints is actually one piece of a larger picture that includes Albuquerque and Lents. Phoenix is reportedly the next place Rennaker and Taylor are focused on. 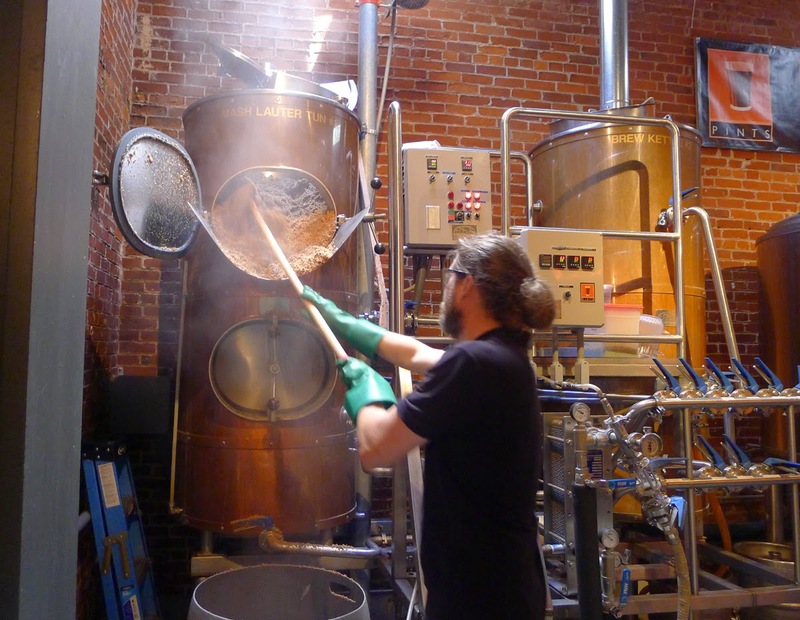 Taylor stays busy with big picture projects and his brewing duties at Pints. His employment is secure. Getting back to Taylor's brewing background, it is extensive. He did time at Full Sail, Spanish Peaks, Gordon-Biersch and Widmer. He also worked as a Brewmaster and general manager of a brauhaus in Germany. Each of these stops happened after he received formal brewing training in Berlin. "My time in Germany doesn't take up that much space on my resume, but it was instrumental in my understanding and appreciation of brewing techniques," he said. "School was great and my times in Berlin and Bavaria were eye-opening and true fun." The beers at Pints today reflect Taylor's background. Alongside a rich line-up of Northwest-influenced beers (Brickhouse Blonde, Seismic IPA, Rip Saw Red, Steel Bridge Stout measure up nicely) you'll find Konvention Kosch, Helles Lager, as well as the excellent Amerikaner Berliner-Weisse. Green Line Organic Pale Ale, named for the MAX line in Old Town, was featured at the recent North American Organic Brewers Festival. An organic version of the Berliner-Weisse, expected to be ready for the event and eagerly anticipated by many, was not quite ready, Taylor says. Mystery solved. Given Taylor's role in the larger project work at ZH Brewing, you wonder how long he will be able to stay in the role of brewer. 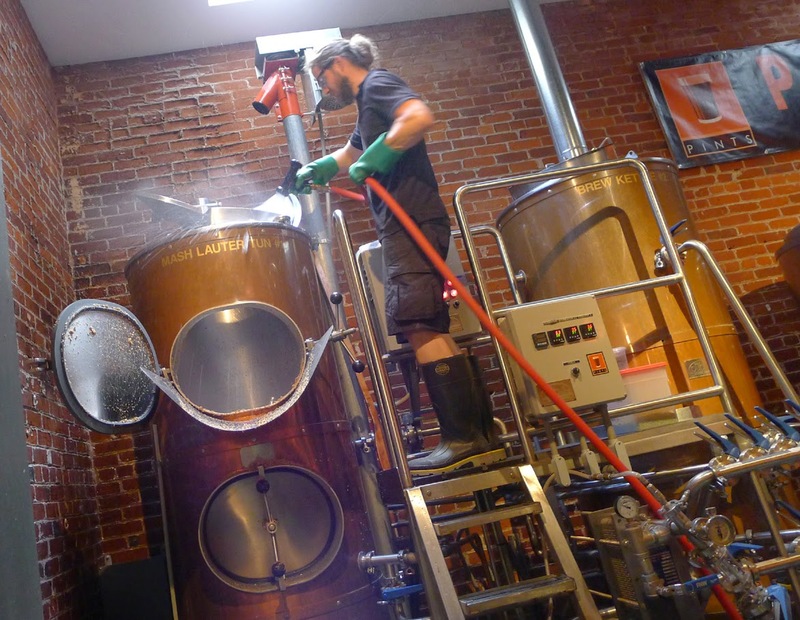 He has brewed 224 batches on a 3.5 bbl, mostly manual system since he arrived at Pints in April 2013. He knows he can't keep it up forever with all he has on his plate. "I'm realistic. I can barely keep up with Pints production, let alone run multiple systems in multiple locations. Once Lents is squared away, I'll need someone to assist with beer production. That person will work with me on both systems to utilize the strengths of each. As we grow, we'll add boots when and where needed and I'll pull back from day-to-day brewing in order to focus on the big picture." In keeping with that theme, Taylor routinely invites Pints bar staff into the brewery to assist with recipe development and tweaking. Staff involvement and training helps keep things fresh in the brewery and is the lifeblood of a successful, evolving brewery, he says. What Rennaker and Taylor are doing with Pints and the related projects is just a new twist on an old theme. The combination of good beer and food is a proven winner almost anywhere. Look around. There's an entire industry that is built largely on that premise. And it continues to grow.